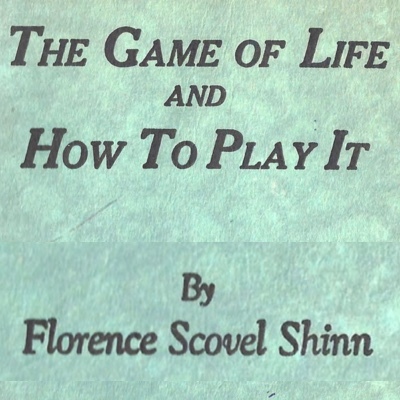 The Game of Life and How To Play It was Florence Scovel Shinn's first and best known book. It was reprinted every year from 1925 until at least 1938, when the version offered here was printed in 1938. 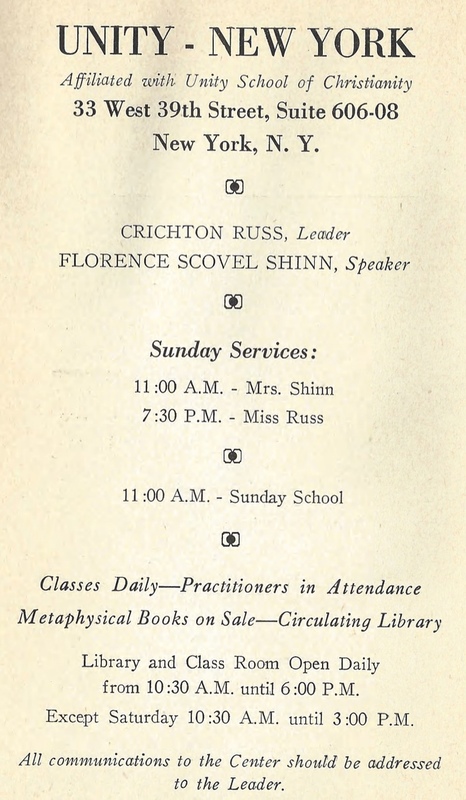 What I found out after obtaining this copy was that Florence Scovel Shinn’s primary venue for teaching her prosperity messages was Unity - New York, as you can see by this page that appears in the 1938 edition. Unity - New York is the same church was served by Richard Lynch, Georgiana Tree West and Eric Butterworth, who, along with Charles Fillmore and Catherine Ponder, are Unity’s foremost prosperity authors. 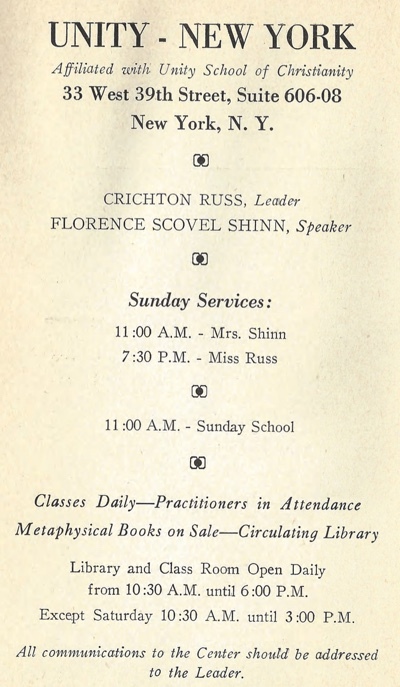 So even though Florence Scovel Shinn never obtained credentials from Unity and never visited Unity Village, and even though her book was never published by Unity, she served along with the great prosperity teachers of Unity. We may claim her as our own. I encourage you to watch Nancy Norman’s introduction, download the PDF and incorporate as much of The Game of Life and How To Play It as you can into your prosperity consciousness.